Do you have friends or family that have lots of food restrictions? It can make this time of year and the holiday season a bit difficult. I'm so glad I found these tasty looking chocolate truffles from Rawnaissance on Etsy. They are made with gluten free and vegan ingredients. Not only that, but they definitely look spooky! This would be a really fun thing to have during a Halloween party. Everyone could pick out their favorite creepy item, like an eyeball or bat. 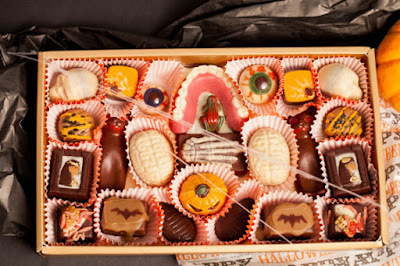 Wouldn't these Halloween assorted chocolates be hilarious to give to your mom or even to a significant other. My evil self is thinking of giving these to my S/O during Valentine's Day. I already have a hard time putting eye drops in my eye. 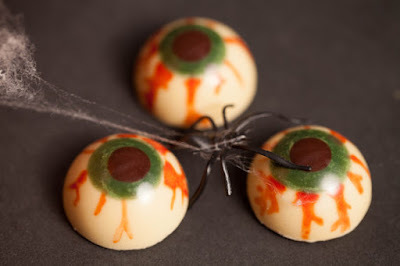 Imagining eating one of these peppermint cream eye ball truffles might be too real for me. 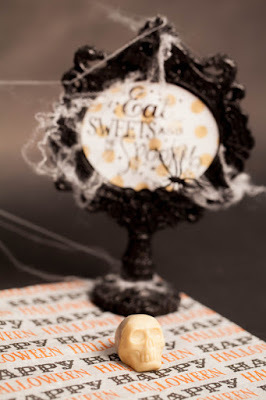 If you look closely at these Halloween skull truffles you can see through the white chocolate. It makes it look like there's a brain inside! 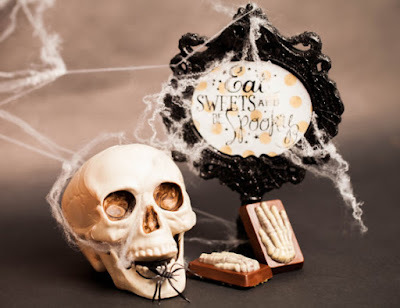 Not only can you use these Halloween bone truffles for the holiday, but you can set them out for any macabre get-together. Or just use this as a gift for any of your slightly disturbed friends! The Walking Dead's next season is coming up, and now we can truly eat BRAINS with these Brain truffles! I want to munch on these while watching the season premiere. 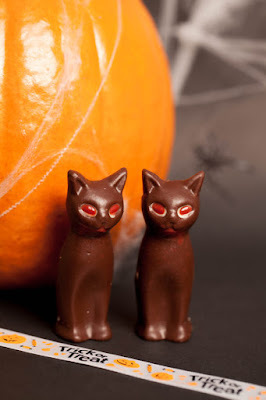 Those beady red eyes on these black cat truffles are a little scary. Overall, these are fairly innocent looking. I'm sure the kids would enjoy eating some of these. I want to put these bloody frog truffles in a fondue dessert or something. It would make it look like a witch's stew! 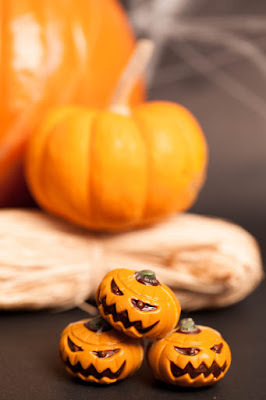 Not only are these pumpkin truffles a tad creepy, but they are actually pumpkin spice flavored! I would need to be careful with these since I would probably eat them all in one sitting. 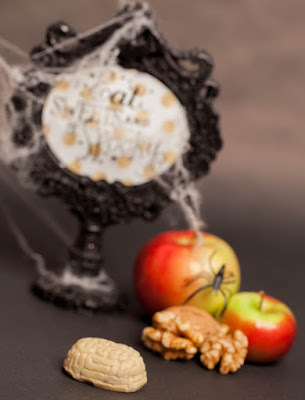 All of these truffles by Rawnaissance on Etsy come in various wonderful flavors. 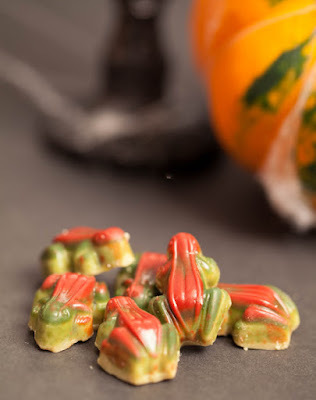 Not only are they great for Halloween, but practically anyone can eat them. Which one do you think you would get? I like the assortment pack! Comment below!